Inside, the 9-5 featured an evolution of the 9000's aircraft-inspired ‘cockpit’ layout, with an integrated center stack and instrument panel wrapping around the driver. It also retained the 9000’s widely-acclaimed seating comfort. The feel and shape of many of the controls drew on Saab tradition, as did the ignition switch mounted between the front seats. 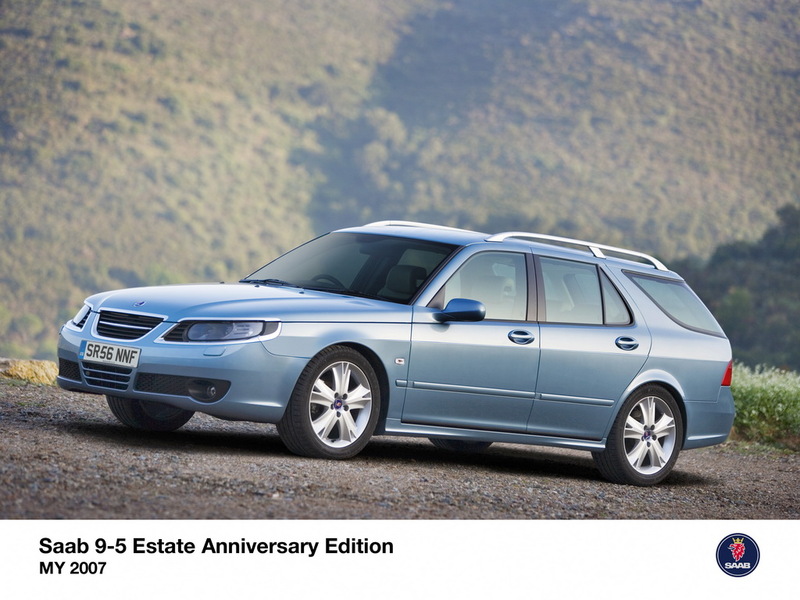 In common with previous Saab sedan models, the 9-5 also retained a folding rear seat for added practicality. Improvements in ride quality and interior noise levels was gained by mounting the front and rear suspensions on isolated sub-frames and, for the first time, an independent, multi-link rear suspension layout was adopted. The body structure included further developments in front crumple zone design and a 'pendulum' movement of the lower 'B'-pillar for greater side impact protection. Saab Active Head Restraints were fitted to the front seats, helping to reduce the risk of neck injury in rear-end collisions. The 9-5 wagon - marketed in Sweden as a SportCombi - was designed in parallel with the sedan and featured unique bodywork from the B-pillar rearwards. The raked angle of the tailgate gave it a sporty appearance to complement its load-carrying capabilities. Design features included 'wraparound' rear window glazing and aircraft-inspired cargo securing tracks in the trunk floor. The tailgate had integral down-lighting and an extremely strong roll-out floor section for easy loading was offered as an option. At launch, the 9-5 engine line-up featured the world's first asymmetrically-turbocharged engine, a 200 bhp V6 unit with a single turbo driven by just one bank of cylinders. Other light pressure turbo engines were a 150 hp 2.0-liter and a 170 hp 2.3-liter, including balancer shafts for greater running refinement. In 2002, a wide-range of enhancements to the chassis, suspension and powertrain were introduced, as well as subtle front and rear restyling. Two diesel engines, a 120 hp four cylinder and an all-new 176 hp V6 were added to the range. Engine development culminated in a 260 hp, 2.3-liter turbo engine for top-of-the-line Aero variants. 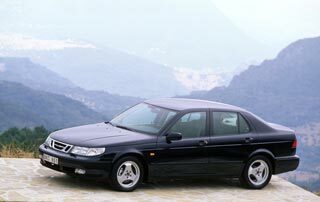 And, in 2005, Saab introduced its first BioPower engine, capable of running on E85 bioethanol fuel, or gasoline, in any proportions. A total of 483,593 cars were produced. Chilled glovebox kept at 6°C for storage of cold drinks etc. The SAAB 9-5 is also avaliable highly tuned from Swiss performance experts Hirsch.